Why Does Microsoft HQ Use SAP Instead of Microsoft Dynamics ERP? Normally, if you heard that a business software company wasn't using its own business software as part of its business strategy, that would be a strong vote for the competition. But in the case of Microsoft, it's actually a precautionary tale to avoid SAP like the plague. Here's why. 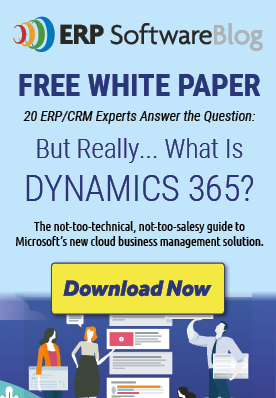 The Microsoft team in charge of Dynamics does “eat its own dog food,” and runs Microsoft Dynamics ERP. But further up the chain, atMicrosoft HQ, the software giant is still using SAP. But they aren't happy about it. The question came up during a Microsoft Q&A session at the Seattle AXUG conference. Why would Microsoft headquarters be using SAP rather than its own Dynamics offering? The answer is that Microsoft would have to undergo a major overhaul, too expensive and impractical to implement at this point in time. While SAP can be very powerful at the enterprise level, it is also clunky, and isn't all things to all people. Its out-of-box ability to be customized is limited, and Microsoft has only been able to make it work for them by introducing dozens, possibly hundreds, of customized applications. The internally produced applications were a necessity, because SAP is too rigid to be customized without hard-coded solutions. Replacing SAP would require replacing dozens and dozens of applications, recreating them from scratch. It wouldn't just be costly, it would likely disrupt the flow of business and result in harmful downtime. Microsoft is the perfect example of a business that doesn't stay with SAP because they like it, but because they don't have any other options. Clearly the software giant could improve its image if it were to use its own CRM software, so staying with SAP is clear proof that it really is their only choice. Whenever Microsoft creates a new unit, they use Microsoft Dynamics, but it looks like HQ is stuck with SAP for the foreseeable future. Ready for Microsoft Dynamics GP? But How Much Will It Cost? My two cents. I used to work with a really old, perhaps 8 years back version of Navision (not AX) and it was fantastic. The company I worked for was maybe not a global corporation but they are in the defense avionics industry which have complex processes, rules and regulations. Anyway, even though this system was old, and yes, it did have some problems the UI was easy to navigate with standard reports being more than enough to manage the business in more than 75% of the cases. I had no training on it, came in as a Financial & Operational Manager and no handover and I could figure out what to do in a few weeks. About three years ago I left them I started working at a FTSE100 company with operations on all continents. I have projects on all of the continents and to be honest, working on SAP is atrocious. Just to find a simple report takes hours and then if your system is not configured by a “specialist” that costs thousands you will end up with useless reports. I am no technical wizard in SAP but for me a system is generally useless if it is not build in such a way that people in the company that works with Sales, Distribution, Procurement, Finance etc have to go for training and have a million and one options. Know, do not think I am saying MS Dynamics AX is the saviour, probably at this point in time not due to its scale-ability challenges for big corporate users. However I think SAP just need to work on its UI experience a little more and de-clutter a bit. I think you are actually pointing out the major flaws of SAP where you think it is an advantage of the system. These are: “Adding Layers of great value”…. Think simpler is sometimes better. Also, international companies have been using it “successfully” for decades due to the fact that SAP was basically the ONLY choice. My prediction…. In 5 years time, SAP would not be THE ERP system and other companies, MS included, will start taking that market share. During 1999 through 2000, I was the lead consulting manager and SAP configuration expert installing SAP Payroll at Microsoft. My SAP background included being a part of the initial SAP Development team for the Payroll product as well as having been a payroll manager at American Airlines, (the organization that co-developed the SAP US Payroll module with SAP), I was one of the few consultants who had successfully implemented this product on time and on budget without significant product customizations in the US during this period of time. I would have to say Microsoft was one of the most AMAZING clients I had ever installed SAP at. The consultants on the project were limited to a few “heavy” experts with the bulk of the team from Microsoft. We had very agressive deadlines and a very strict focus on a limited amount of SAP product customization. Microsoft Payroll was one of the last major SAP modules they we were installing during this period. We implemented SAP Time, Benefits and Payroll including the integration with FICO with virtually NO customizations other than a few web updates because Microsoft was a little ahead of SAP’s employee self service functionality that was later upgraded. 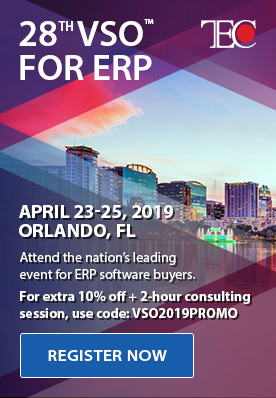 Being there and being very experienced and knowledgable about SAP HR and Payroll I would strongly disagree that Microsoft significantly customized this system when they installed this. I am currently working with Microsoft AX at a client. Experienced with both, I believe Microsoft runs SAP because it is a great product that can be installed by huge multi-national organizations with complex business practices without customizing the basic code. It has been utilized by some of the largest international companies in the world for decades. I think Microsoft AX is also a great product that is tailored more for smaller organizations . Microsoft AX works well and likely sometime in the future Microsoft may want to install this. I don’t think they will be in a rush though because I believe SAP is still improving and moving forward and adding layers of great value with each new release for their existing customers. Good point Mike. This is true on the CRM side. But I believe SAP is still used on the ERP side. When the author originally posted this blog she may not have been aware that Microsoft deployed its own Microsoft CRM software on a worldwide basis replacing Siebel (Oracle). The announcement was made in 2012 and correctly published in InformationWeek magazine. Interesting blog. Why does MS HQ run SAP? Because SAP products are generally good, and because SAP is a good business parnter of MS. And because we both despise the folks in Redwood City. You folks are a kick.